Photo courtesy of Main Street Cupertino Facebook page. 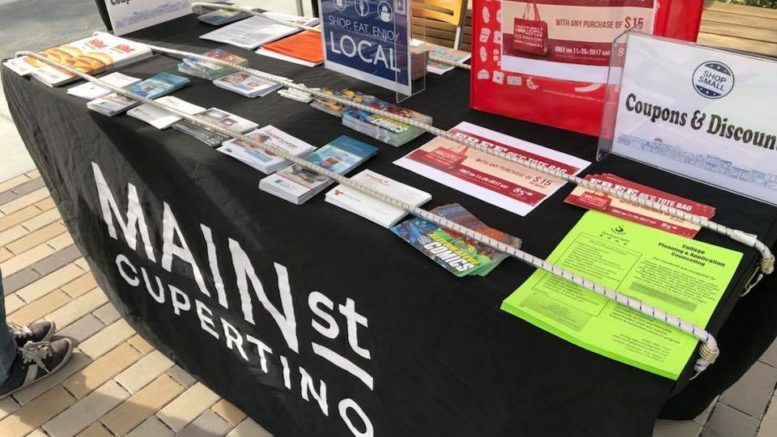 Main Street Cupertino is hosting a Small Business Saturday at the property’s Town Square on Nov. 24 from noon to 3 p.m. The event will have several family fun activities, such as a live music performance, arts and crafts, a “balloon twister,” bike and stroller decorating and opportunities to receive discounts and offers encouraging the community to shop locally. The first 200 people to come will receive a free “Shop Small” tote bag. If you have a business you want to promote at the event, it isn’t too late to participate. All businesses in Cupertino that have a physical location and valid business license are welcome to participate. Printed coupons must be delivered to the Economic Development Manager, Angela Tsui, at 10300 Torre Avenue by 5 p.m. on Nov. 21 to participate. 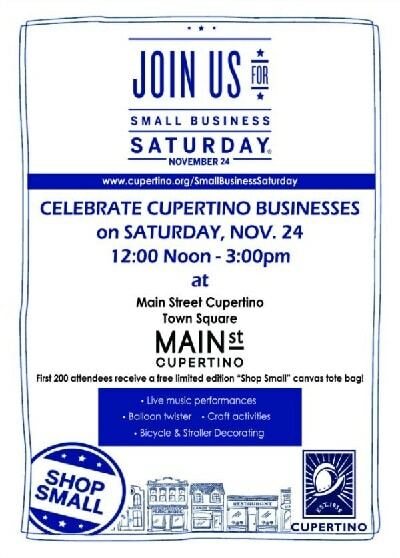 Be the first to comment on "Promote your Cupertino business at Small Business Saturday"